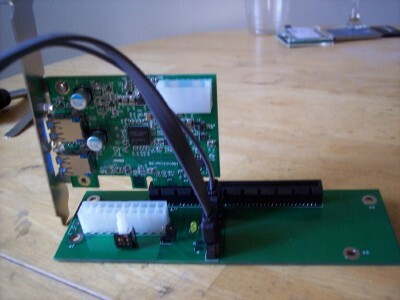 The XPRS-PX-X16 connects with one of our XRPS-HOST-.. cards, and allows using of the whole range of types of PCI Express peripheral cards - x1/x4/x8/x16 outside of a computer system, through a cable. 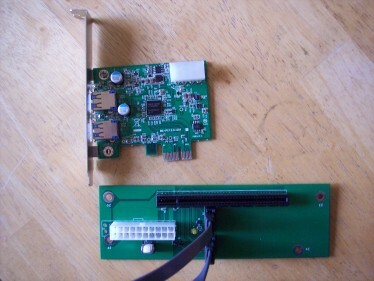 The image shows XPRS-PX-X16 product, cables coming from XRPS-HOST-.. card, and one PCI Express -x16 type peripheral card. We are offering a low cost ExpressCard based notebook system to help with upgrading. 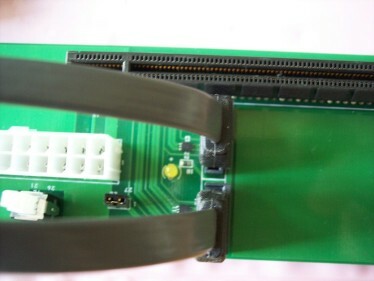 There are 2 ways to connect the 2 cables to the connectors on XPRS-PX-X16. When the host system is a notebook, and the operating system supports ExpressCard slots, you can dynamically insert/remove PCI Express -x16 type card on XPRS-PX-X16. PCI Express -x16 cards normally have high current consumption, beyond the amount of current provided through the cables. The XPRS-PX-X16 and the PCI Express card can be powered by our PWR-12V product. 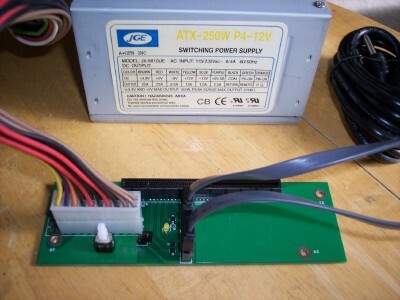 This way of powering covers most of the PCI Express card used - allow currents of up to 20-25A on 3.3v, and max current on 12V depending on the PWR-12V power supply. 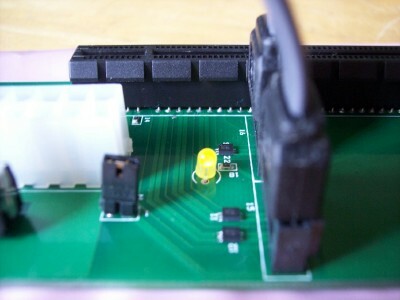 In case the PCI Express card uses extremely high currents, you can connect a standard ATX power supply to provide 3.3V and 12V with high currents. Please check the User's Guide .pdf, the chapter on XPRS-PX-X16, for details. Longer and larger PCI Express -x16 type card may be put in our ISA-PCI-B2 enclosure. The PCI Express is made compatible between the different form factors - x1 / x4 / x8 / x16 . The XPRS-PX-X16 can take the whole range of PCI Express peripheral cards. 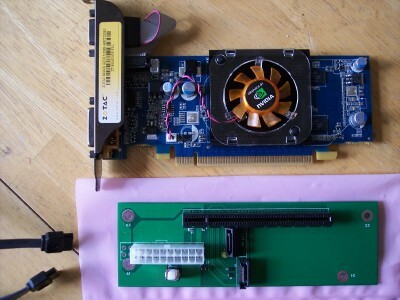 The 2 images below shows using of PCI Express -x1 card in the cards in the XPRS-PX-X16. The image above shows separately PCI Express -x1 card with XPRS-PX-X16. 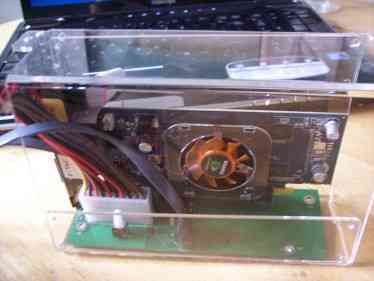 The image below shows assembled PCI Express -x1 card with XPRS-PX-X16. PCI Express -x4 and -x8 peripheral card may be mounted in XPRS-PX-X16 as well.